If you already didn’t have enough reason to drink more, we’ve got another to add to the pile. 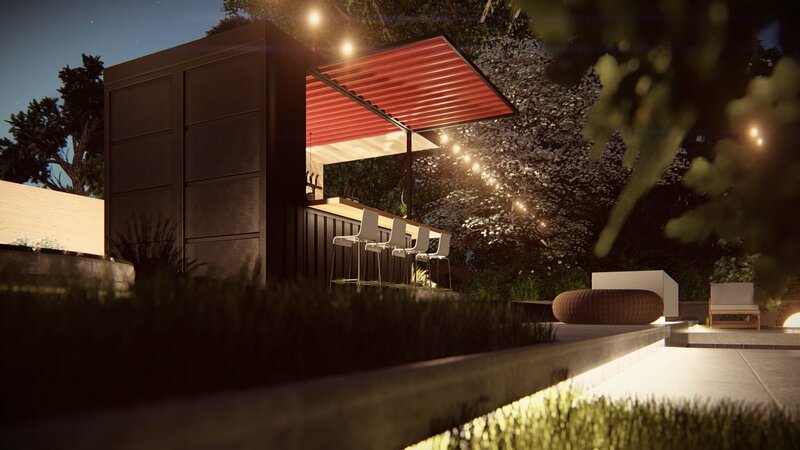 The good folks over at Honomobo who already build brilliant contemporary shipping container homes decided to venture beyond just homes. Their Honomobar is quite possibly the coolest home upgrade we’ve seen in a while, so let’s take a look. Built from a recycled shipping container and portable enough to be brought just about anywhere you like, including your home. They have a 3ft cedar overhang, Canadian Fir treated butcher block bar tops and a roll shutter so you can lock it up when you’re done. It is very portable so business can also make do with these quite easily, it would be perfect for ski resorts or smaller festivals. The Honomobar does not need a foundation, just a legal spot where you can make use of this ingenious little space. As you can see below, this ski resort had a popup bar up on the mountain enhancing the ski experience. This is just a taste of the possibilities available with something like this, so where would you put your Honomobar? The start base price for the Honomobar is $23,594.34 CAD and is 8ft wide by 13 feet long, with an overall footprint of 104 square feet. The company is certified already in California, Washington, Colorado, Oregon, BC and Alberta so give them a shout if you would like to know more.